The snow was flying heavily, and “POW” – Prisoner of Winter was born. By that winter POW produced its first run of 400 pair of gloves and began test sales & marketability from the trunk of a car in the Pacific Northwest resort parking lots. 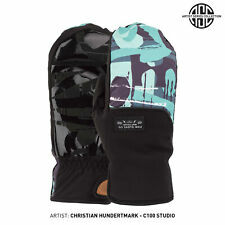 The Pow Vandal ski/snowboard glove is made with the ideal combination of materials for essential comfort. 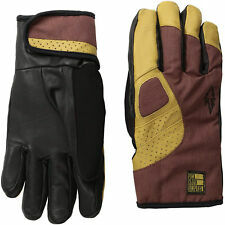 The shell is a blend of grade 'A' leather and a micro twill Nylon with a Teflon DWR coating and combined with the Hipora insert you have yourself a winter ready, super comfortable glove. 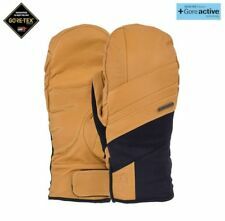 High quality, longer length cuffs, cold weather snowboard or ski Mitts from POW. The snow was flying heavily, and “POW” – Prisoner of Winter was born. By that winter POW produced its first run of 400 pair of gloves and began test sales & marketability from the trunk of a car in the Pacific Northwest resort parking lots. The shell of the mitt is made from premium LNT nylon which has a super soft hand feel, whilst the palm is made from 'grade A' leather for added warmth and grip. TALLAC MITT. 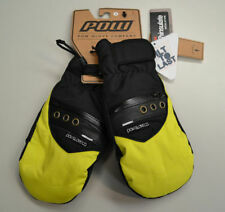 Top quality snowboarding gloves from POW. Buff thumb to wipe your nose or goggle. Goggle squeegee. Waterproof HIPORA® insert. Artwork By: Simon Riviere. 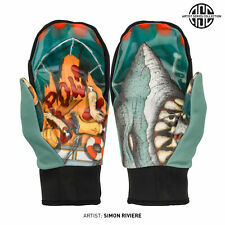 Top quality snowboarding gloves from POW. The snow was flying heavily, and “POW” – Prisoner of Winter was born. By that winter POW produced its first run of 400 pair of gloves and began test sales & marketability from the trunk of a car in the Pacific Northwest resort parking lots. 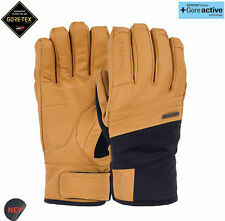 WARNER GORE-TEX LONG GLOVE. 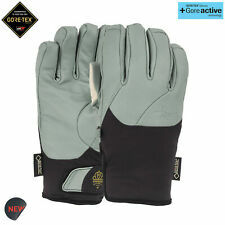 Waterproof and Breathable GORE-TEX Glove. 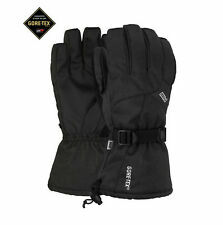 INSERT:Durable GORE-TEX Glove Insert. LINING:Premium anti-pill polyester micro-fleece. Over Cuff design for total coverage. PALM:Waterproof PU. 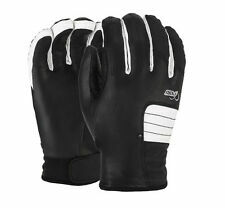 The Pow August Long ski/snowboard glove is a premium glove from POW's Cascade Series collection. With a premium goat skin leather shell, Primaloft insulation and waterproofing you can be prepared to tackle anything the mountain can throw at you. The POW Crescent Gore-Tex. The snow was flying heavily, and “POW” – Prisoner of Winter was born. By that winter POW produced its first run of 400 pair of gloves and began test sales & marketability from the trunk of a car in the Pacific Northwest resort parking lots. POW INDEX Trigger Junior Snowboarding Skiing Goves Black S/M J4 Kids 4 year 6"